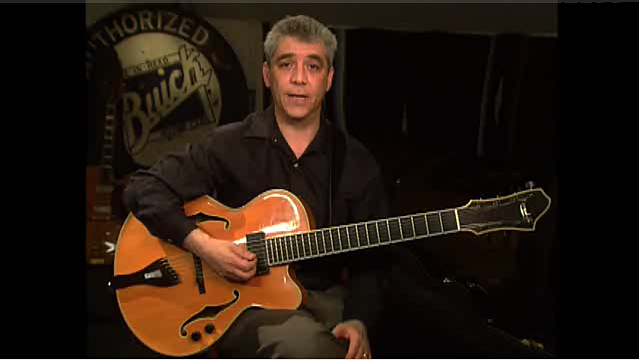 Master jazz guitarist and educator, Jimmy Bruno is one of the most technically gifted and critically acclaimed jazz musicians performing today. Bruno's professional career began in 1973, when at age 19 he got the respected but challenging gig as guitarist for Buddy Rich's band. He later played in orchestras for Frank Sinatra, Doc Severinsen, and Lena Horne, among others. He also spent many years on the L.A. session scene working with the legendary Tommy Tedesco. He returned to his beloved Philadelphia in the Eighties and soon made a name for himself, eventually scoring a recording deal with Concord Records. He has since released 13 albums, including Sleight of Hand, Like That, and his latest album, Maplewood Avenue. He has also opened the Jimmy Bruno Guitar Institute (JGBI), which through the power of the Internet and Bruno's unique insights into jazz guitar now teaches jazz improvisation to countless students all around the world.